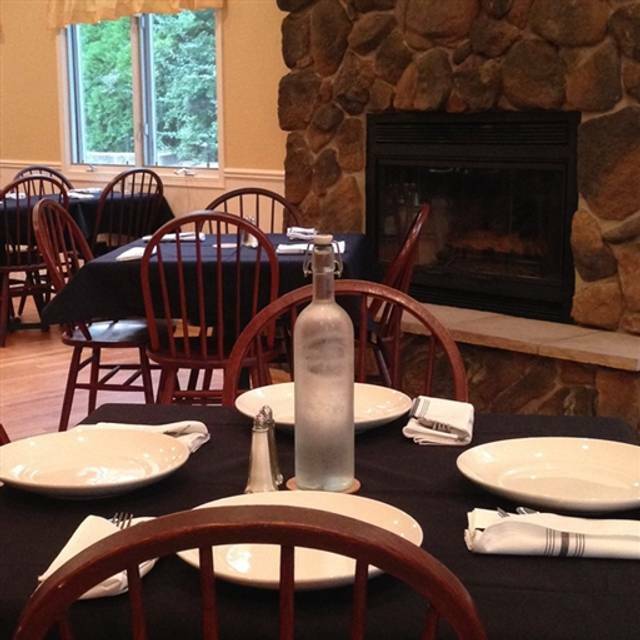 You must make reservations at least 5 minutes in advance of the time at The Red Oak Restaurant. 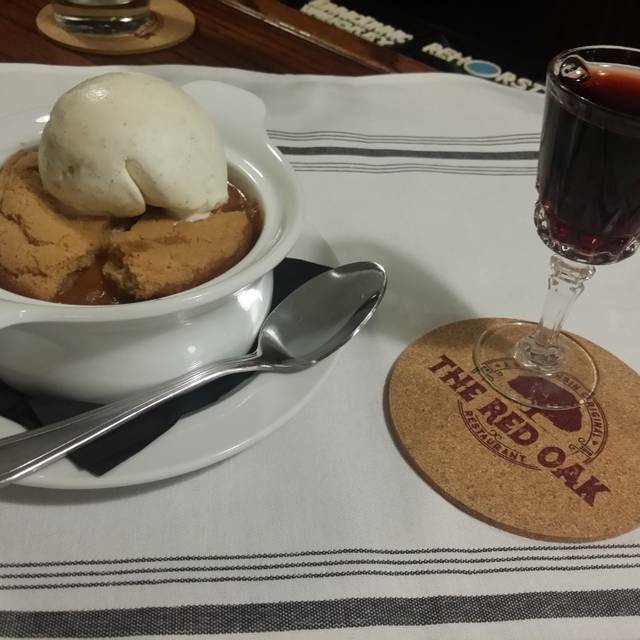 Welcome to The Red Oak Restaurant, where we specialize in carefully prepared local and seasonal cuisine served in a friendly and relaxed atmosphere. 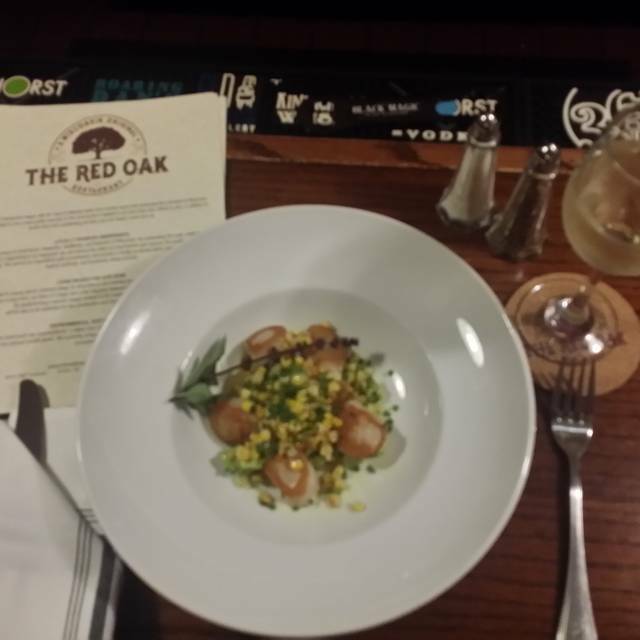 Firmly rooted in southeastern Wisconsin, The Red Oak celebrates the richness of the area by crafting dishes and drinks from locally grown produce, humanely raised animals, and locally produced artisanal cheeses, beers and spirits. Awesome restaurant ! Great food, atmosphere and wait staff. You will not be disappointed. First time there, and will definitely be going back. They offer gluten free and vegan options!!! My quiche was a little dry and dry was the lemon cake. I like that the gratuity is included in the entire bill. I feel that that the cocktail drinks were a bit expensive. The food was outstanding! We like the Red Oak and their menu but the service last Saturday was not good. Our server barely came to our table, wasn’t confident about the menu, never asked us if we wanted dessert. It was disappointing because we always have good service when we go and food is good. I apologize for the disappointing service on your last visit. We strive to consistently provide good service and will revisit training with the staff. Thank you for taking the time to share your feedback. The beer battered walleye with lemony tartar sauce is amazing. Fun drinks. Nice atmosphere. Love the environmental sustainability. Their brandy old fashioned was very good. The food was okay. My baked cod was good. Moist and tasted good. 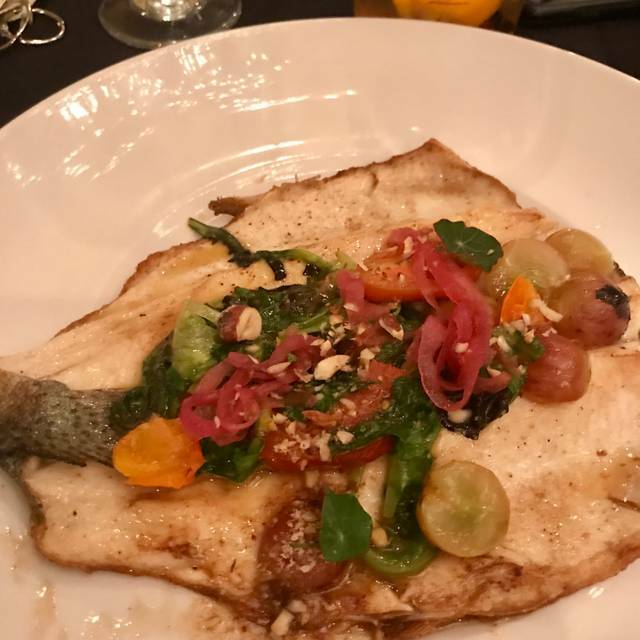 My husband's walleye was a disappointment. It had so much batter on it he scraped off most of it. Their homemade applesauce was very good. I really dislike that the restaurant automatically added a 20% . Not sure if we'll give it another try. I love going to Red Oak! The food is always delicious and interesting. It’s definitely not the norm for this area. I like that they use as much local ingredients as much as possible. I had the duck confit over polenta. The duck was very tender with good flavor. It reminded me of eating in France. My cocktail was a lovely pink martini (cosmopolitan). Then the dessert was pot of something. It was this not too sweet chocolate kind of pudding/mouse but more substantial! It was Devine! As always the wait staff is friendly and knowledgeable! The atmosphere is interesting. They always have such great artists work to look at! Yes it’s always a treat to go dine with them! This restaurant charges a “hospitality fee” instead of customary tipping. However the net effect is that the wait staff does not have to rely on providing excellent service in order to make their money but can be as rude and condescending as they care to be and still get paid the same. Only three tables were occupied the night we were there to be served by one waiter. He appeared to be more interested in providing the other patrons with details of his travels than with serving our table. When my wife pointed out how long we had been ignored during his extensive travelogue with other customers, he rudely pointed out that “we weren’t his only customers”. ....with only three tables. We had been anticipating ordering dessert but promptly left after his disrespectful reply to my wife. We have eaten here several times before over the years. 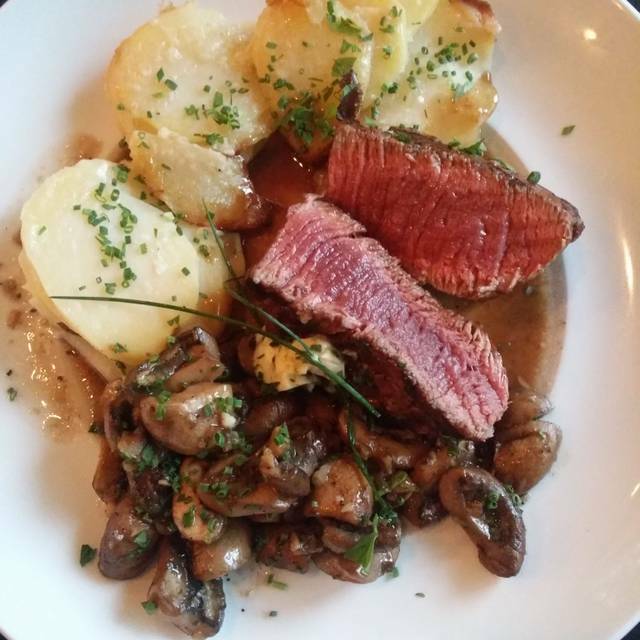 The menu is imaginative, the food delicious, and well priced in a pleasant country setting. Nevertheless we won’t be back even though we had been eagerly anticipating this meal. Apparently hospitality fees, no matter how “progressive” it sounds, translates to “I’ll treat you the way I want and there’s nothing you can do about it.” Too bad a poor waitstaff ruined what should have been a great experience. I am incredibly sorry for your experience. There is never an excuse to be treated disrespectfully. We strive to hire and train staff that is motivated to provide outstanding service. We have addressed this failure with the waiter working that evening. We hope you will give us another chance to earn your business in the future. 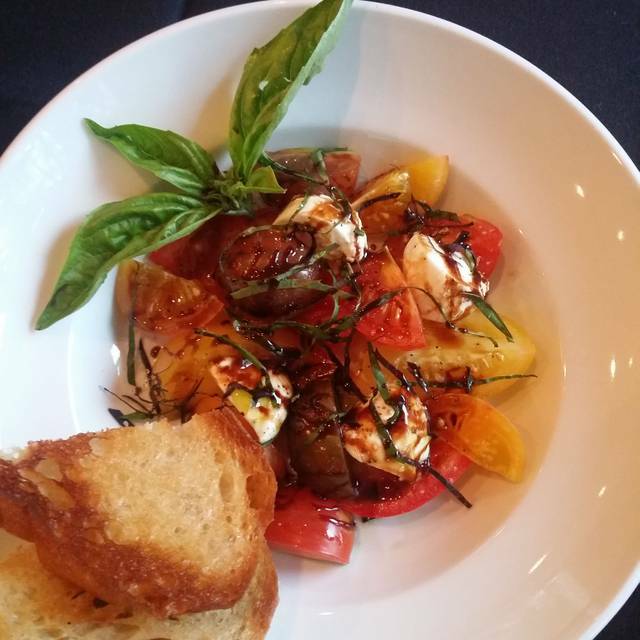 Creative cuisine, friendly wait staff and delicious food and drinks as always. We love going to the red oak restaurant. The changing menu of food and drinks is a great surprise for anybody that is a foodie. We had our March friends birthday party at Red Oak and it was perfect! 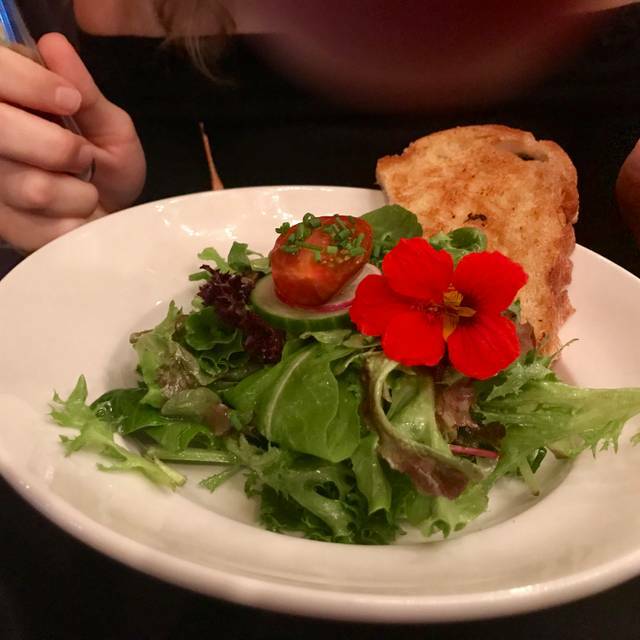 The service and food were amazing! Can’t wait to go back! I absolutely love this restaurant! I make a point to bring friends as often as possible. It was great. I recommend the steak sandwich and Ray our waiter was a hoot. Very nice and attentive. He recommended a great chocolate dessert pudding which is to die for. Love this place. The food was great but aspects needed work. Some of my meal was hot and some wasn't which was odd especially because it wasn't terribly busy. Our server wasn't the greatest. We had to repeat what we wanted several times. Our ice teas didn't taste like iced tea and even though we asked for sugar, it wasn't brought to us (the tea tasted like water so we just drank water). Everyone was super sweet because we did have a small baby with us. Always a great experience with wonderful food. Pretty awesome. Casual but classy with unexpectedly good food. Will come back and so will my daughter. Always fantastic craft cocktails and delicious food! Love the whole concept and values of this restaurant. Another excellent meal by a staff that works particularly hard to make sure everything is perfect. Special thank you to the bar manager, Heidi. Never disappoints. Creative local fare, expertly prepared & served. LOVED the Tuna Tartar. Even the specialty cocktails are unique and fabulous, the Bee Sting...yummy. Our now all time favorite local night out choice. 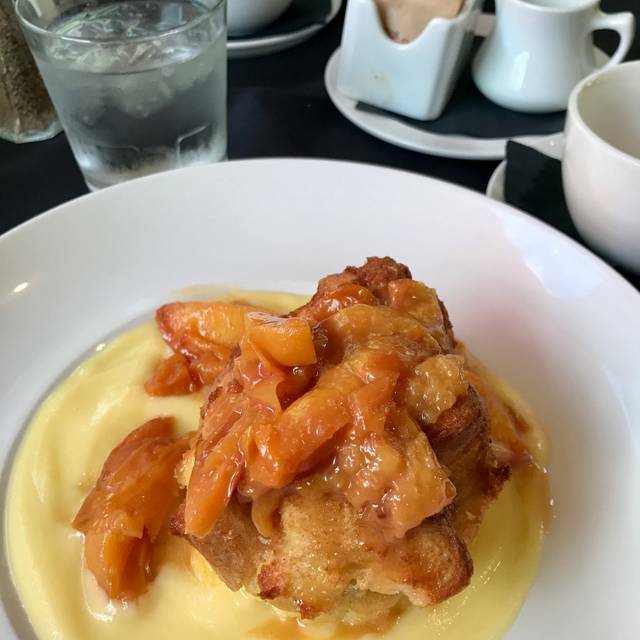 Always an excellent meal and atmosphere.Farm to table is the only way to go.This place is a lock for delicious food from an ever changing menu.Drinks are wonderful and the staff and atmosphere are second to none! You will not be disappointed!! It was Valentine’s Day and they were busy. No excuse. We waited over an hour for our dinner after ordering. The chicken was overdone and dry. The filet was supposed to be med well, that came out rate and the hamburger came out med instead of medium well. They sent the filet back and still came back med rare. I then took it to go because my family was done and it was 9:45. Tom, we agree it was no excuse and just want to say we are very sorry we disappointed you and your family. We are working on making sure it doesn't happen in the future. We dined here for the first time on Valentine’ Day. The food was wonderful. The Filet Mignon was cooked to a perfect medium rare, as requested. The scallops were wonderfully done. They had run out of Lobster Bisque by the time we got there (was really looking forward to this). The atmosphere was very nice, however, very loud. Unfortunately the service was not in line with the quality of the food. Our drinks were left empty for long periods of time without being checked on. Our appetizers (duck confit and mushroom soup) took a long time to arrive at our table (over an hour). Our meal then followed another 45 minutes later. I would try the restaurant again, just because of the quality, in hopes the service was subpar due to a holiday rush. I'm glad you enjoyed the food, but do apologize for the lack of service and long wait times. While not an excuse we were not well prepared for the volume of guests we had on Valentine's Day. We do hope you give us another chance. Usually delicious, but this particular night, the service was lousy (waitress was very nice), and the food took forever. Granted, it was Valentine’s Day, it took about 2 hours for a party of two to eat dinner. This hidden gem is a must, wish the ambiance was as good as their food, but I do appreciate them supporting local artists. Overall, recommended and will try again. I apologize for the lack of service and long wait times. While not an excuse, we were not well prepared for the volume of guests we had on Valentine's Day. Thank you for your willingness to give us another try. 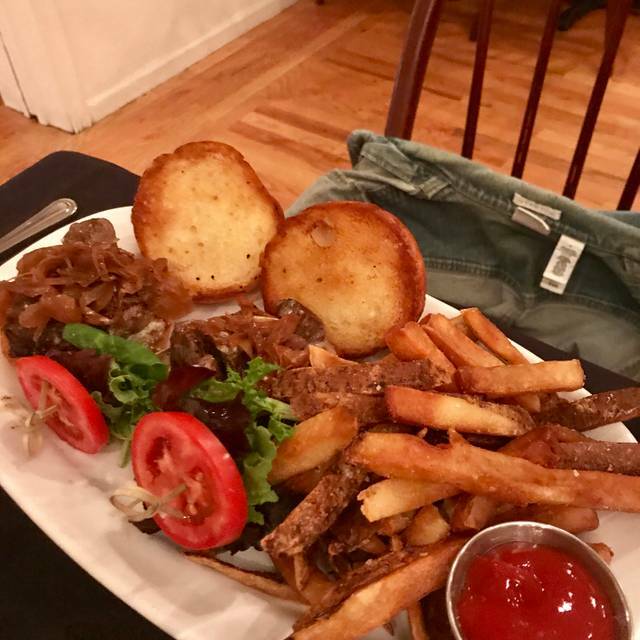 Absolute worst dining experience in over 50 years of dining out. Waited one hour and forty five minutes and food never did come out. I went to the manager to inquire about the delayed food service and she immediately apologized before I could even explain the situation. Her and two other employees knew about the situation and all were apologetic but no one could explain to me the reason for the delay nor when the food might come out. They didn’t offer to look into the delay . There was obviously a known reason that they knew about, but would not offer me an explanation . It was the Most bizarre dining event my wife and I ever experienced . We politely walked out and won’t go back . We sincerely apologize for the inexcusably long wait time. We were ill prepared for the volume of guests we had on Valentine’s Day. Poor Service & Mediocre Food. We waited over an hour for our mediocre food. We had empty water glasses & empty cocktails for 30 minutes until we finally stopped our waitress to get refills. The food was mediocre for the price. The hospitality fee of 20% was ridiculous for the service. Overall just unimpressed. I am very sorry for the disappointing experience you received on Valentine's Day. We were ill prepared for the volume of guests we had that evening. There's no excuse for the lack of service and are working to ensure that doesn't happen in the future. We hope you will consider giving us another chance in the future. Third time we have been there and it was perfect. Unfortunately the pasta special was not good. It was clumpy and had 2 very small pieces of lobster only, was to have lobster and oyster meat. Both of our meals were cold. Good server but will not return as food was average at best and costly. I apologize for your disappointing experience. There's no excuse for the cold entrees and lack of seafood in your pasta. We have made some changes to ensure that doesn't happen in the future and hope you will consider giving us another chance at some point. Great place. Always good food and a nice experience. The food was very good although the chicken we had (two different entrees) was a little salty. The presentation of the food and room was very nice too. I wish the portion sizes were slightly larger. My boyfriend helped me eat my rice because he was still hungry after his appetizer and entree and he isn't a hefty man. I understand the prices being a little high because the food is locally sourced, just wish there was enough served. For a special occasion I would recommend Red Oak. Sadly, our last two meals at The Red Oak have been very disappointing. Our waitress was unattentive, the frise salads (with apple?) were not acceptable because they were incredibly bland. My husband and I ordered the salads with chicken and salmon, which were not even close to tasting like farm to table. It was more like heated up frozen meat. I would love to recommend this place, but based on our last two visits, I can not. On a more positive note, the bar is beautiful and the bartender was very courteous. I am very sorry to hear of your disappointing experience. There is no excuse for the lack of service you received and we'll make sure that it is addressed. The apple variety is too bland and we're working with Brightonwoods to select a more appropriate variety. We take pride in the wild caught Alaskan salmon & humanely raised chicken we serve, however that didn't come across on your dish and we'll figure out why. Thank you for taking the time to provide feedback we really appreciate it. We thoroughly enjoyed ourselves. Service and food was delicious.